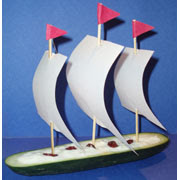 An Edible Mayflower Boat Ship makes it easy to Play with your Food and Eat your Vegetables, because it is edible art! If you want something sweeter, scroll down for the doughnut Mayflower Ship. Either way, the kids will have making eatable Thanksgiving crafts that are pefect for a party celebration. Enjoy! Easy Edible Mayflower Boat Craft for Kids. 1. 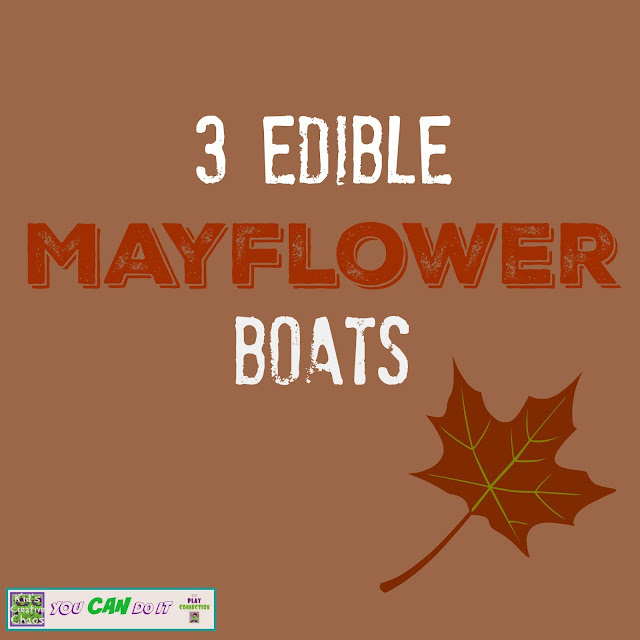 We found this cute Edible Mayflower Boat Craft at Art is Helping the Children. Mayflower ship you can eat from Art is Helping the Children. 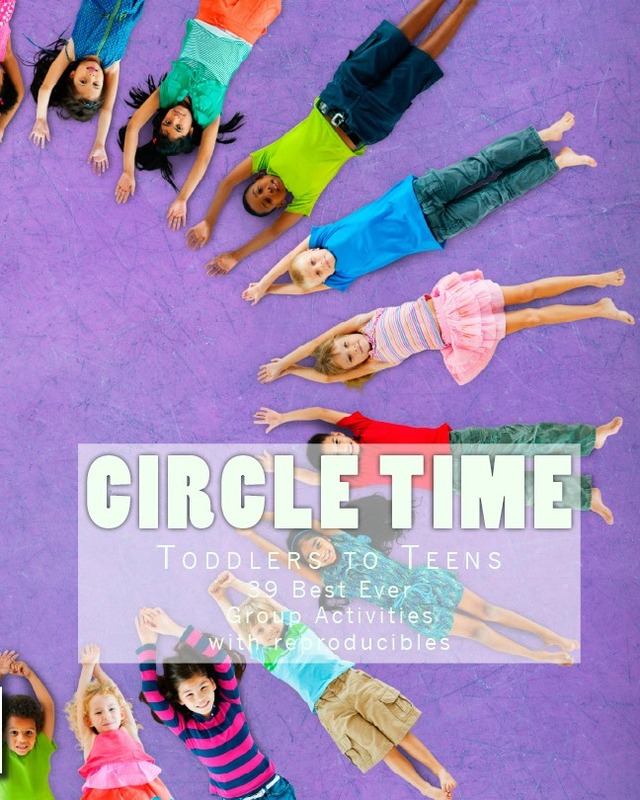 Looking for a new way to get your kids to eat vegetables? Try this! It's pretty self explanatory, we took cucumbers, zucchini, and squash and cut them in half lengthwise. Then, I tried to collect healthy edibles: cherry tomatoes, carrot sticks, sliced squash, pretzels, and mini-dip breadsticks. Cheeseballs worked great too- just not healthy! The kids loved using the colored toothpicks to connect pieces for the "sail". It's like healthy legos! When done constructing, set out plates of dip, and let everyone deconstruct, dip, and eat. Everyone ate their veggies. They even tried the yellow squash! Food is more fun when you get to play with it. 3. 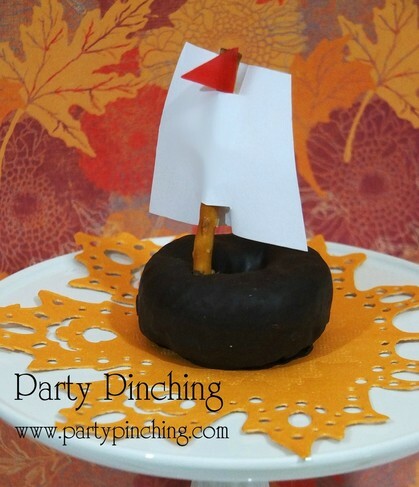 For an unhealthier version, try this Doughnut Mayflower from PartyPinching.com. It is super easy with only a pretzel and a doughnut required. That sounds yummy! We read these books: "The Littlest Pilgrim " and "One Little, Two Little, Three Little Pilgrims ". A book about the Mayflower for kids is available but very wordy, "If You Sailed On The Mayflower " by Ann McGovern. You might also like, "On The Mayflower " by Kate Waters for school-age kids. I will have to look into the Pilgrims Books. Love to read holiday themed stories! I'm going to make Turkey Pins for Thanksgiving with my daughter...check my blog next week! Those are some great ideas! I have an impossible time trying to get my daughter to eat her veggies. I am following from the Friday blog hop! Would love for you to stop by and say hello some time :) Have a wonderful weekend! somethings up & I can't see the pics-- grrrr-- just tried to open in Chrome too, but no dice. : ( If I get the gist of the veg boat, that is a cool idea. My sons are pretty good eating veg, but my nephew not so much... hmmmm. 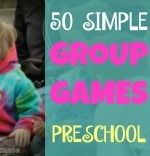 just had a great idea for their kids' table for Thanksgiving thx! Hmm... 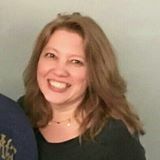 I see those pics but have a problem on the sidebar. Anyway just skewer cut-up or small veggies for sails. The link that gave me the idea used actual paper sails. We didn't race our boats, just ate them. Totally agree with you - letting your kids play with/help prepare their food makes them so much more likely to eat it!